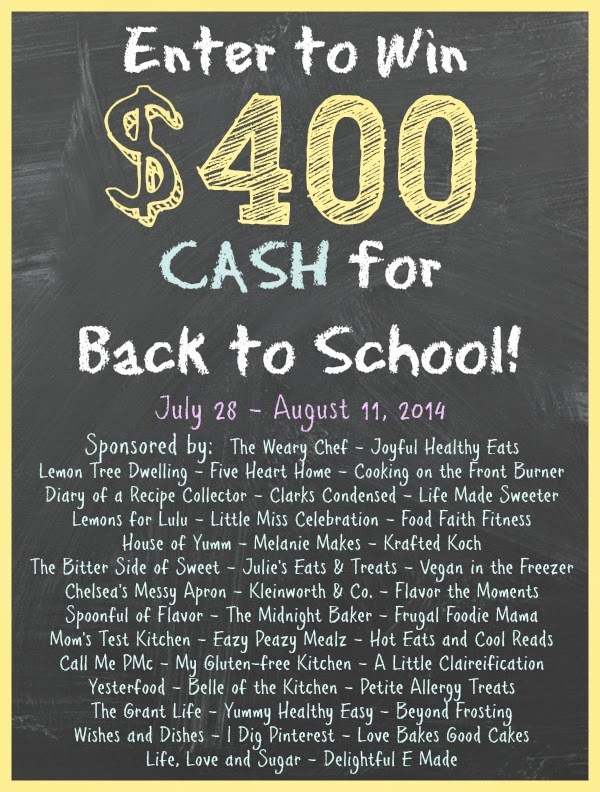 Frugal Foodie Mama: $400 Back to School Cash Giveaway! $400 Back to School Cash Giveaway! But I figured what could make having to go back to school just a little less painful for all of you out there? Whether you decide to use that for back to school supplies and clothing or possibly for a last hoorah getaway for the family is entirely up to you.